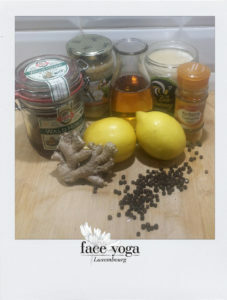 Face Yoga Workshop – Smile! Smile! combines lower face exercises that plump, lift, shape and erase lines around the mouth and lip areas. Our mouths show our age and our emotions. Smile at the world, see how the world smiles back at you. Places are limited. 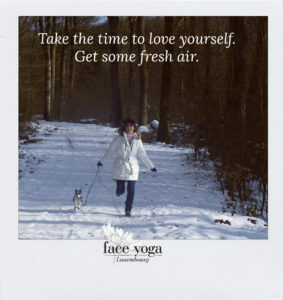 Author KimPosted on February 28, 2018 April 4, 2018 Categories WorkshopsLeave a comment on Face Yoga Workshop – Smile! In the past two weeks we celebrated Valentine’s Day, and here in Luxembourg, both Carnival and Buergbrennen (sipping mulled wine and hot soup around a huge bonfire to Burn Away Winter). They’re all holidays full of fun and mischief and fiery emotions and love. 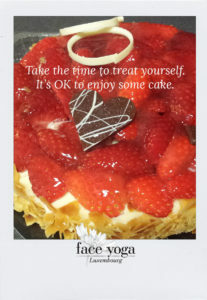 You may be thinking, “Celebrate Valentine’s Day? Fun? I don’t even have a sweetheart.” But you are wrong. You have Yourself! So during this time, I didn’t post much about the facial exercises. I wanted to remind everyone to take the time to appreciate life’s little pleasures and, above all, practice some self-love. It’s not selfish. Really. One way to do that, you knew this was coming, is to practice Face Yoga. 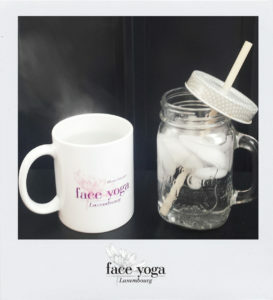 Face Yoga is not just about pulling a few faces (though it may look like that sometimes). 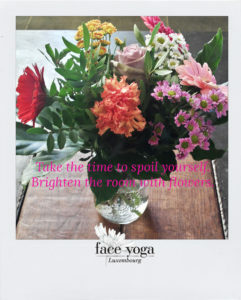 With Face Yoga you are focusing, strengthening and retraining your face muscles. 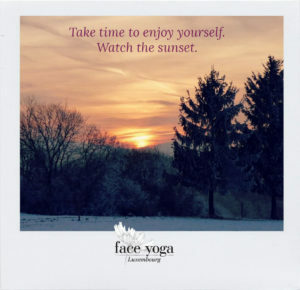 You are taking a break, however brief from the day to day obligations and releasing tension. You are getting air into your lungs and oxygen into your systems. And you are reminding yourself to sit up tall, open up to the world and embrace it. Even by repeating one pose, at any given moment in time, you are completely focused on you, what feels good to you, what is helping you to achieve your goal. The subtle changes lead to more noticeable ones. You become more optimistic. You become more confident. And it shines on in all areas of your life – just like with body exercise, or loosing weight, or a flattering, new outfit, or a great vacation, or anything that impacts you favorably. Other people will take notice too. It’s being able to look in the mirror and reconcile the real self with the ideal self. 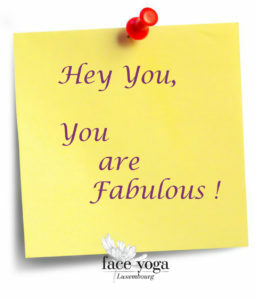 And realizing that you are fabulous. You have the power to bring about those physical and mental changes. Our minds are prone to pay attention to what’s wrong. Women especially are so good at finding the slightest flaw that no one else sees. So much of the world is focusing on the negative right now. Fight back. Tweak your lifestyle. There are so many yummy & healthy foods out there. So many products and home remedies that help your skin, your hair, your body, look their best. So many techniques to relax and unwind. So many things to enjoy, even on a budget. The next time you’re about to criticize yourself, pause. Practice self-compassion. 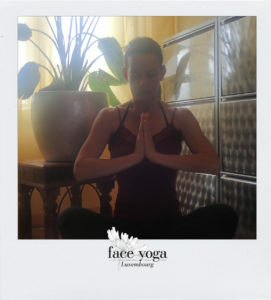 Practice Face Yoga! Love Yourself! This week’s snowfall here in Luxembourg was a welcome change from what seemed like 2 months of non-stop gray skies, winds and drizzle, if not flat-out rain. Even though we’ve had our fair share of precipitation, I’m going to talk about – WATER. What I’m not going to talk about is the percentage of water in our bodies, or how much you should consume per day. You know this. My point is – Just Drink It. Now. I want you to grab a mirror, or your smartphone, or physically get up and get to the nearest looking glass. Seriously. Do it. Look at yourself. Do you see lines on your lips? Yes? You are dehydrated. Even if you don’t feel thirsty right now. If you want to plump up your skin, erase fine lines and increase elasticity, drink more water. Water is not a replacement for topical moisturizers since it reaches the skin cells last. You need to take in enough water to maintain moisture, deliver nutrients to the skin cells, and enhance and soften the complexion. Drinking an adequate amount of water is still more effective than applying creams. Cold water or Hot water? Both have their arguments. 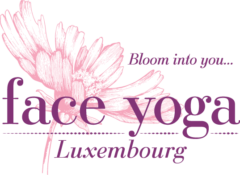 Face Yoga Luxembourg strongly recommends drinking hot water – especially first thing in the morning. It rinses the system, activates digestion, and rids the body of toxins from the get go. Drinking hot water any time of day gives your internal organs a break. Instead of wasting time warming the water to body temperature, they are free to get on with whatever they are designed to do. Hot water fills you up and warms you up. Still can’t stomach the idea? Tweak it with a little lemon, ginger, mint or apple cider vinegar. Each adds it’s own benefits. Or spice it up with turmeric (a dash of black pepper allows the body to absorb the turmeric). Or think of all the delicious flavors organic honey can add, especially the Big Kahuna of all honey, Manuka. Sometimes we need cold water to bring down the body temperature. Sometimes we just have a hankering for it. Drinking water at any temperature is like showering on the inside and it helps to shed weight. Like I said, Just Drink It! 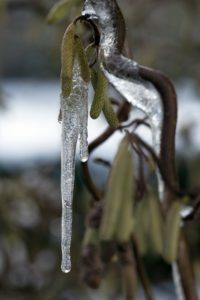 What can I recommend to do with cold water? Have you ever tried splashing your face with it? In the morning, this simple gesture will temporarily constrict pore size, making them appear smaller. It reduces redness and may help products penetrate better. You’ll have no problem believing that it wakes you up. From there, it’s not a stretch to boosting your mood. By the time you are ready to walk out the door, that puffy-faced grump that rolled out of bed is no more. We need water on the inside and outside of our bodies. And in our environment. So don’t dread those days and days of rain either. Raindrops attract pollutants, purifying the air we breathe. They also charge the air with negative ions, attracting free radicals and protecting us from their harmful effects. And high humidity keeps skin fresh and supple. Rain. Laugh at the clouds. The sun’s in your heart. Just sing. Sing in the rain.